While discussing a prenuptial agreement before getting married can sometimes be difficult, it can also be one of the smartest decisions you ever make. Having an agreement in place in case of a dispute can have a significant impact on your financial security. And while having one in place is always a good idea, it is also crucial that it is specific enough for your circumstance and key terms aren’t left ambiguous. For these reasons, working with an experienced divorce attorney can help ensure that your prenuptial agreement is crafted to your specific needs and also in compliance with Florida law. For example, in Florida, certain rights, such as child support, cannot be waived, even via pre- and postnuptial agreements. 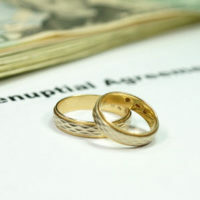 Florida courts have also found that even with prenuptial agreements in place, certain rights cannot be waived, such as the right to certain assets that were a part of the marriage. If the prenuptial agreement does not specify that either spouse has rights to the enhancement value of a particular piece of property, for example, that value would then, by default, be subject to equitable distribution under Florida law. This means that the specific wording of these agreements is absolutely critical and can make all the difference between a prenuptial agreement that accomplishes what you need and one that falls short of ensuring that you and your loved ones are taken care of. It is also important to remember that even one mistake could invalidate the entire agreement. Choice of law governing the construction of the agreement. Any relevant execution formalities and/or waivers of equitable distribution of property, such as testamentary provisions, last will and testament provisions, alimony, interest in retirement plans and/or marital earnings, etc. Financial planning is crucial for everyone. Coming to an agreement with your partner can help ensure that you have control over what happens instead of automatically defaulting to what Florida law dictates. At HD Law Partners, our experienced family law attorneys understand what is at stake when it comes to marriage and divorce. 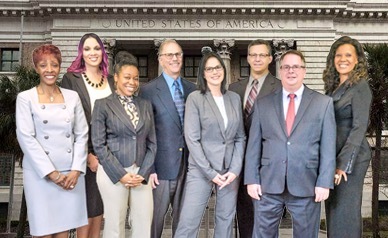 We’ve been providing trusted legal representation for clients throughout Florida with over 40 years’ combined experience. When it comes to planning for your future, you want to ensure that you obtain experienced, skilled legal representation. Contact us today to find out how we can help.